The United Nations World Tourism Organization attributes great significance to the utilization of the Silk Road – one of the most debated travel routes in the world – for tourism purposes. 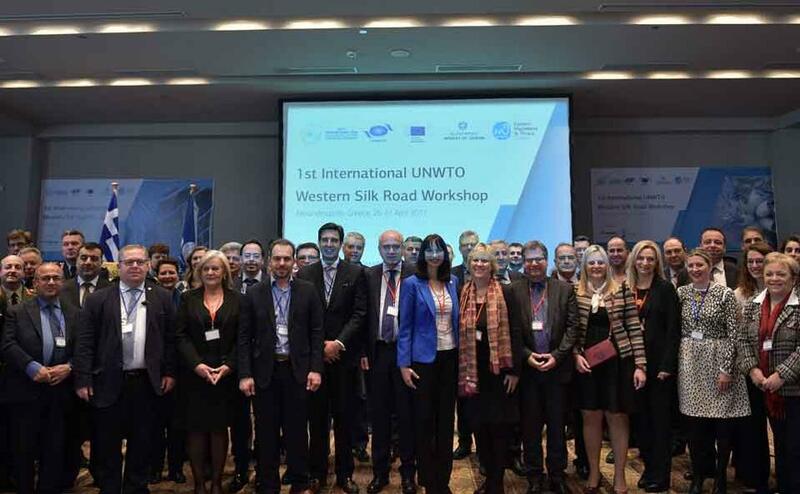 It was in this context that the UNWTO, the Greek Ministry of Tourism and the Regional Authority of Eastern Macedonia and Thrace organized the 1st International UNWTO Western Silk Road Workshop, which took place on Wednesday and Thursday in the coastal city of Alexandroupoli. According to the UNWTO, while the Silk Road continues to constitute a point of reference for trade and travel, various obstacles such as visas hamper its further development. To overcome these obstacles the UNWTO has proposed the adoption of a “common visa” for the Silk Road. To highlight the significance of the route, the UNWTO cited the reference of Forbes Magazine to the Silk Road as one of the world’s strongest trademarks, possibly stronger than that of Disney or of Coca-Cola. The effort of the UNWTO is supported by 33 of its member-states, including Greece, Bulgaria, Croatia, Romania, Spain, Russia, Turkey, Albania, Ukraine, Egypt, Iran, Iraq, Israel, Japan and of course China. During her speech at the workshop Tourism Minister Elena Kountoura expressed her support for the development and promotion of tourism and destinations through the initiative of the Western Silk Road. Regional Governor Christos Metios referred to the region’s advantages with regard to the interstate tourism the program of the Western Silk Road promotes, such as its geographical location, its accessibility and its infrastructure works in the transport sector. He also expressed hope that the workshop evolves into a regular form of cooperation. The head of the UNWTO’s Silk Road Program, Alla Peressolova, thanked Kountoura and Metios for their support of the UNWTO initiatives and hailed the program’s significance for sustainable interstate tourism and local growth.